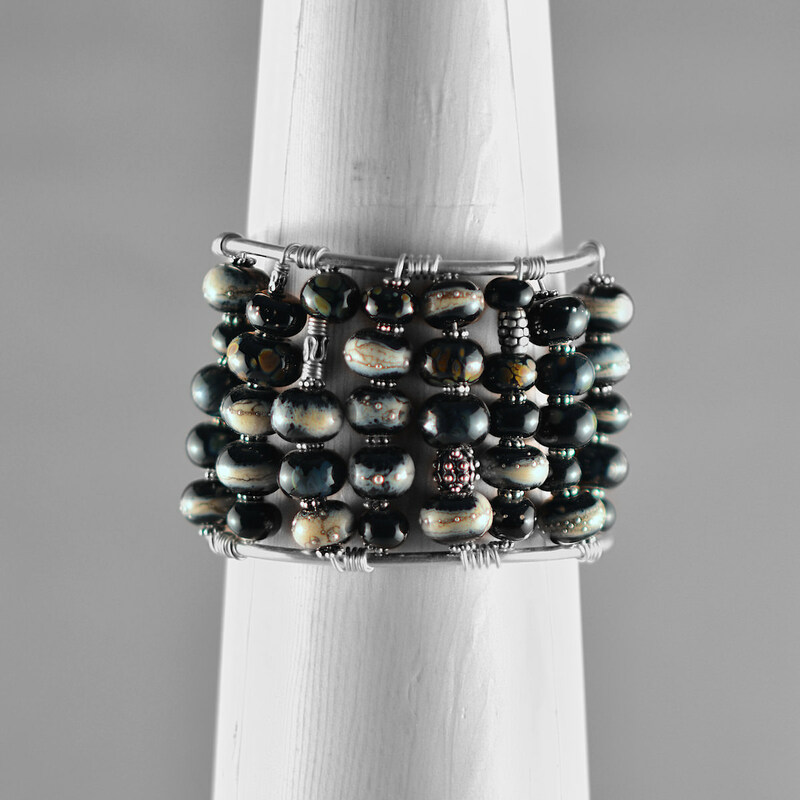 These statement piece cuffs begin with a heavy gauge sterling silver framework. 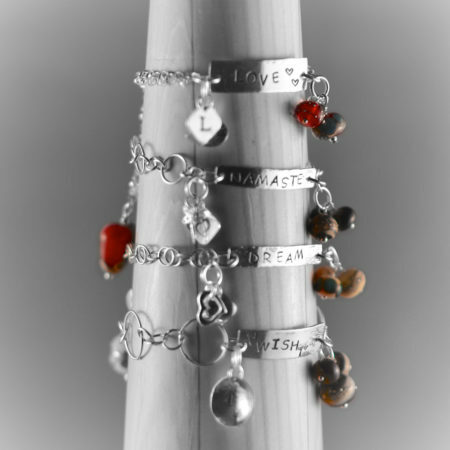 Once I have that framework soldered and shaped I begin to wire on a large selection of my hand made lamp work beads. 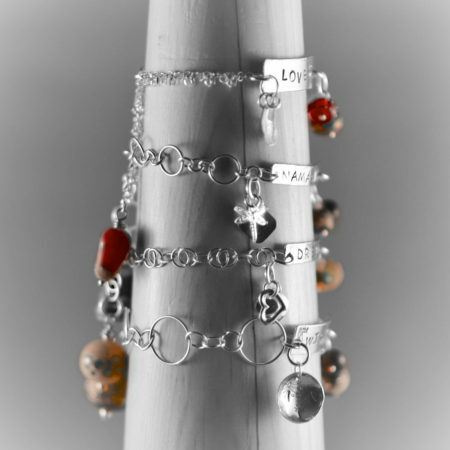 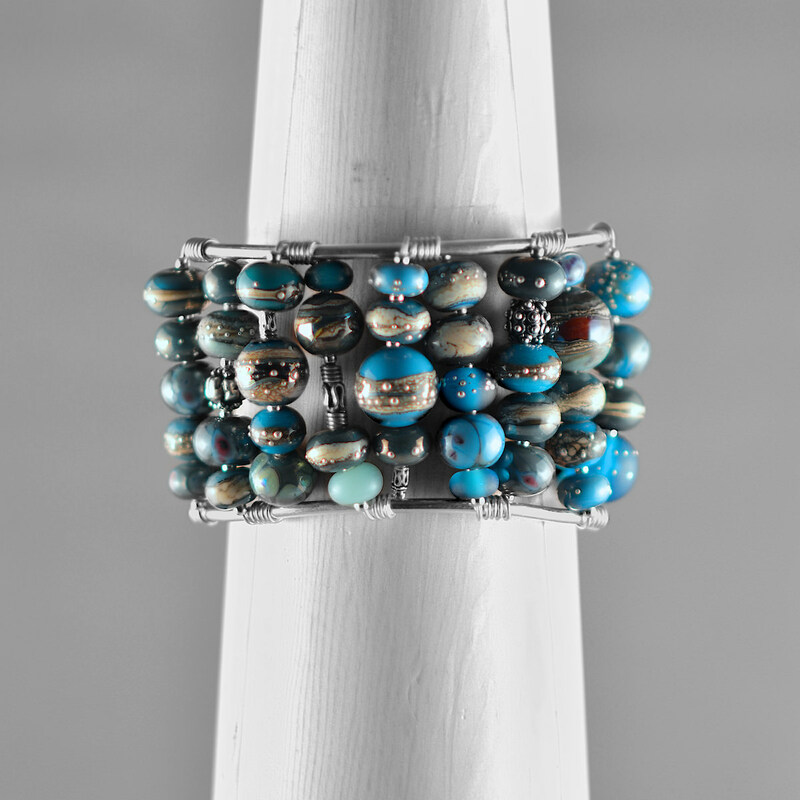 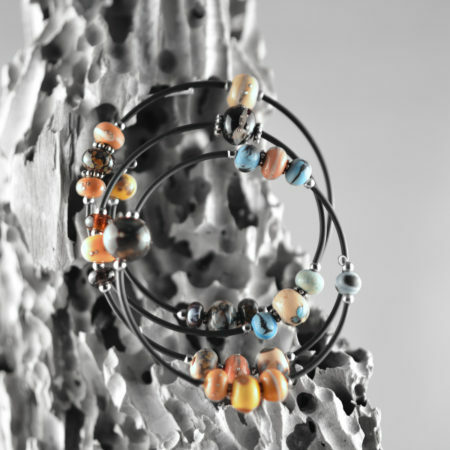 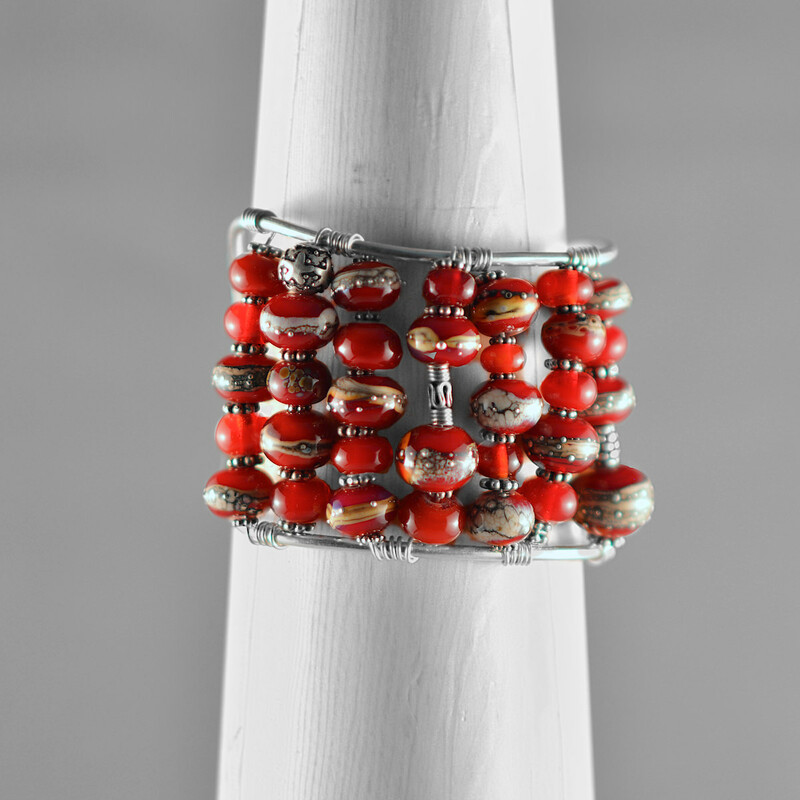 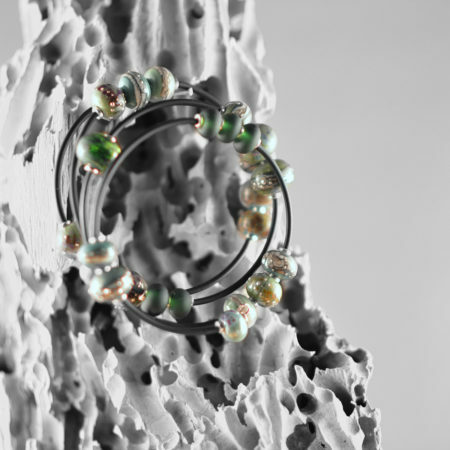 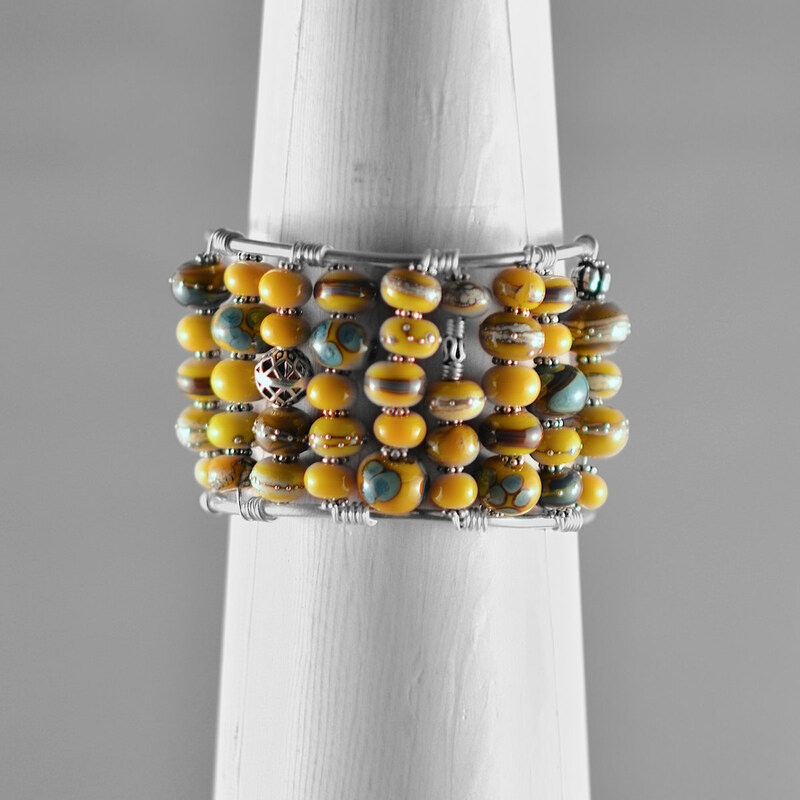 I enjoy combing a wide variety of different coloured beads to create a fun and beautiful one of a kind cuff. 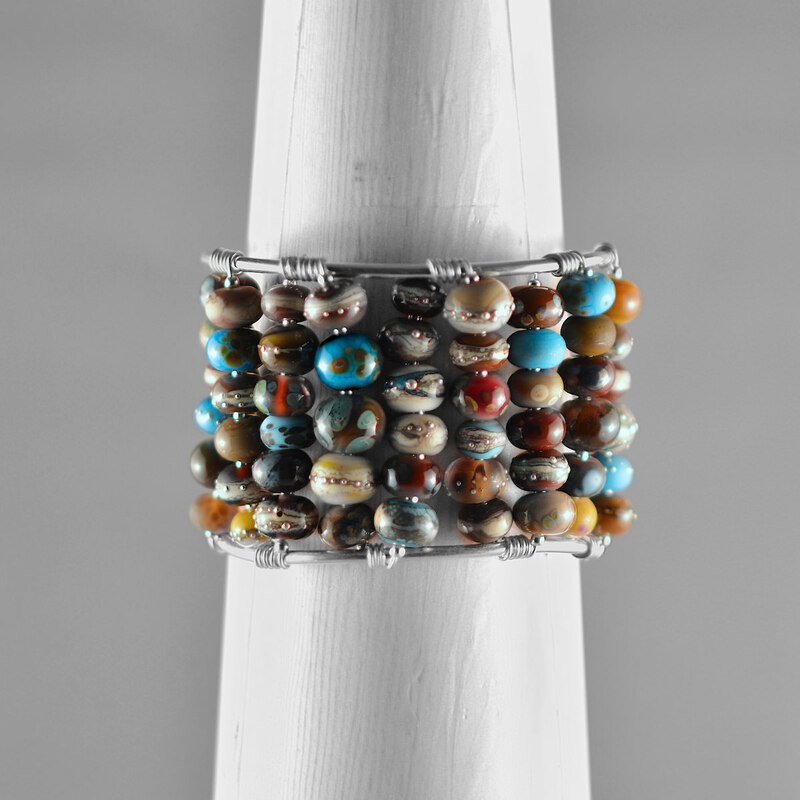 It should be noted that if purchased your cuff can be gently squeezed to fit each individual wrist.